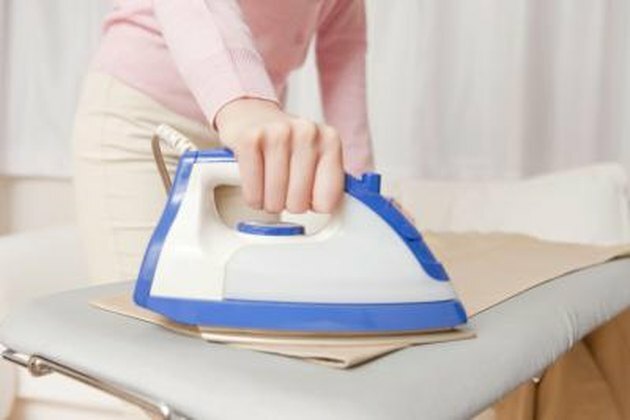 Irons are everyday household appliances we sometimes take for granted. 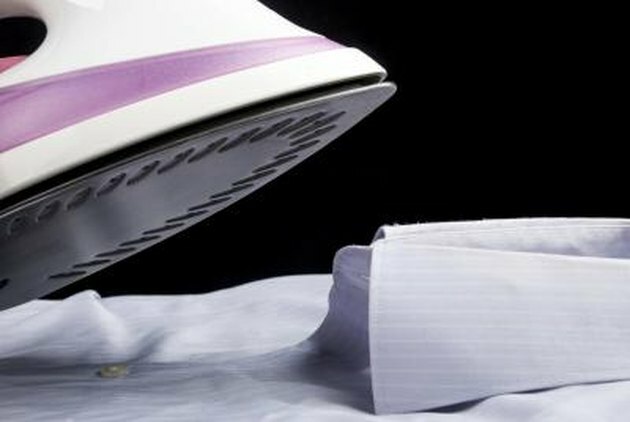 No one really likes to iron clothing, even with today's technologically advanced steam tools. 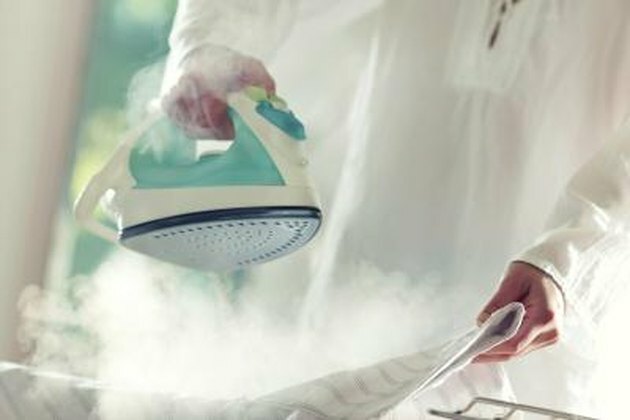 Irons have come a long way from the heavy pressing devices that once burned many women's hands because they were heated directly in fire. 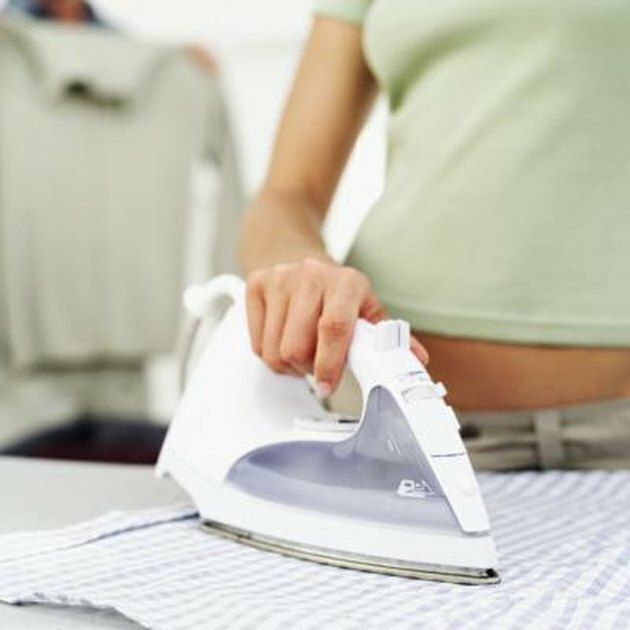 Most irons have a stainless steel soleplate. Also known as inox, this alloy steel contains 10 to 30 percent chromium which makes it non-corrosive and heat-resistant. 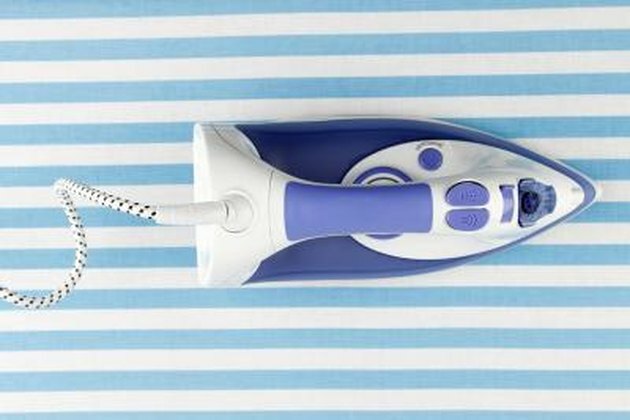 Some irons have a coat of ceramic over the aluminum metal or plastic soleplate. Ceramic is an inorganic material, usually made of clay, that becomes hard and brittle when fired. A layer of ceramic is bonded or baked onto the plate. 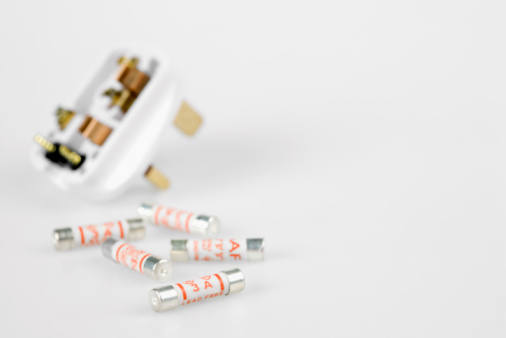 Ceramic is a good conductor of heat and helps to distribute it evenly across the surface it covers. It's durable, eliminates static and prevents clothes from sticking to it at high heat. Stainless steel is a durable and hygienic metal because it can be easily cleaned. It allows for even heat distribution. What Are the Dangers of Titanium in Cookware?